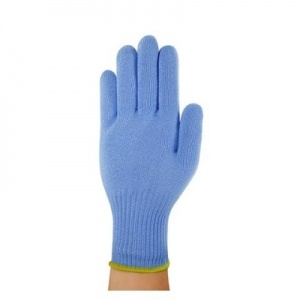 The Ansell VersaTouch 72-287 Cut-Resistant Dyneema Glove is a knitted glove manufactured from glass fibre, polypropylene and revolutionary Dyneema for superior tear- and cut-resistance. Suitable for contact with food and washable to promote good hygiene and reduce the risk of contamination, this glove is ideal for applications in the food industry that require the use of sharp knives and equipment. Manufactured from glass fibre, polypropylene and Dyneema – a revolutionary, high-strength fibre – the 72-287 Glove is highly-resistant to both cut and tear. When rated to EN 388:2003, the glove achieved the highest level of cut resistance, and a rating of 4 out of 5 for its resistance to tear. 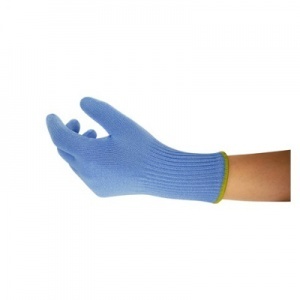 As a result, this glove is suitable for applications where sharp blades, knives and other equipment are used. Please note that the price listed here is for one Ansell 72-287 Glove only.